This summer, Hallmark or “The Paper Store”, (the rebranded store name here in New England) is offering an entire selection of “just because” cards for free on Friday with your Hallmark rewards card. If you don’t have a rewards card, you can easily sign up online, for free. As an added bonus for signing up, they’ll send you a $5 off $10 coupon. I personally never carry the physical reward card around, I just provide the cashier with my phone number when making a purchase and my points add up. A few birthday cards and wrapping paper rolls later, and you’ll receive even more coupons (percent off coupons, dollar(s) off coupons, and reward dollars). You’re not going to find your typical birthday card in the “just because” line, but you’ll find a huge variety of so much more. You’ll find typical thank you cards, along with thank you cards specifically for teachers, coaches and hairdressers. You’ll find encouragement cards for cancer, infertility and chronic illness. You’ll find congratulations cards for new homes and for new babies. You’ll find cards specifically for children doing well in school, and good luck cards for adults moving to a new job. You’ll find cards for friends, cards about love, and cards about loss of love. You’ll cards for anniversaries for widowers, and sympathy cards offering hope and support. You’ll find unique cards that are going to make someone smile, and let the know that you’re just “thinking of them”. I was shocked at the huge selection – there’s really something for everyone. You don’t need to make any additional purchases for this offer. Just go in, pick a “just because” card, and your receipt will show $0.00! This deal ends the last week of August, so there’s still time to stock up each Friday. You are bound to brighten someone’s day, in a very meaningful way. Everyone loves receiving snail mail! Share some love, share some cards. One of my favorite sales of the year is coming up in less than two weeks! The annual 5-day Splash of Pink pop-up at the Tanger Outlets in Westbrook, CT starts on Wednesday August 16th at 9:00AM. *Get there early, VERY early (especially on the weekends). The line will start forming a few hours prior to the opening time. It’s better to be waiting at the beginning of the line and get to enter the store first, than arriving late and watching others through the window shop while you wait to be let in. The employees will only let a certain number in at a time – but it still seems crowded once you enter! *Grab fast. It is First Come, First Served – and sizes & styles are very limited. So if you see something you love, grab it. If you turn around or walk away, it might be gone for good. Items are re-stocked throughout the weekend, but shoppers never know which items will be re-stocked or when the re-stock takes place. With that being said, make sure you try it on, because all sales ARE final. Which brings me to my next tip…. *Wear “conservative” undergarments. The dressing room consists of one giant curtain. Basically, you find a spot right next to someone else to strip down and try on items. You’re sharing mirrors in one massive mob of women. And it may sound far fetched now, but if someone sees you trying on an item that they LOVE, they may “stalk” you to see if you’re going to give it up as you leave the fitting room. (And, I don’t use the term stalk lightly. Last year, I had a teenage girl and her mom eyeing my every move as I contemplated between a size S and size M of the TuskInSun t-shirt dress. They watched me try each size on, commenting on the fit, and trying to convince me to choose the M even though it was way too big! Unfortunately for her, I ended up snatching the S). *Just have fun! Pop-up sales can be hectic, but when you find an item you love, they are totally worth it! Since Lilly rarely goes on sale, this one is not to be missed! Just in case you didn’t receive a postcard in the mail, I posted a photo of it below! Please be sure to read the details, they only take certain payment options (no checks), and remember sales are final, so make your selections wisely! If you’ve been to this pop-up in the past, I’d love to hear your experiences, advise & tips – please share in the comments section! Till next time, get ready! (And be sure to check back after the sale to get a peak at my findings! Hair barrettes. They’re tiny, they break easily, and no matter how careful I am, my favorite ones always “disappear”. So why are they so expensive?! Fortunately, I found some great mark downs at J. Crew and it was definitely time to stock up! Their barrettes come in a wide variety of sizes, and the color choices of silver, gold, rose gold and tortoise shell make them extremely versatile for any outfit. They also hold a GOOD amount of my super-thick hair (well enough to sweep the top part off of my face) – so that’s a plus! The barrettes a J.Crew normally retail for $12.50 (some are a little less or a little more). The two I chose were marked down to $6.99 each, and then there was an additionally 50% off discount on top of the sale price! I ended up getting two different barrettes for under $8 – which was less than the original price of one! That’s over 65% off! Sale Price – plus an ADDITIONAL 50% off! Less than $8 for 2! I had an amazing weekend! My husband and I ventured through the snowy weather to a most relaxing Bed & Breakfast (and tea parlor) in Dover, New Hampshire. Dover is incredibly peaceful, Victorian homes line the snow covered streets and the downtown area is full of small family-owned shops. Dover is also great because it’s close to Portsmouth, Kittery and Ogunquit. Despite the cold temperatures, we took a short detour to Kittery and ran in and out of a few stores. First up: Adidas. Now, I’m not normally a fan of sneakers. I would literally be barefoot 24/7 if I could. But, since it’s impossible to wear flip flops between October and April in New England, we have no other option but to cover our feet. I was browsing the clearance section and came across these slip-on “sneakers”. No laces? Awesome! Extremely comfortable. More awesome! And how about the fact that they came in both black and navy, so they’ll pretty much match all of my leggings and athleisure wear. So, let me get to the GOOD part. The entire store was buy one item, get one 50% off. Both pairs were marked down to $19.99. When all was said and done, my total including tax came to $31.58 – and I was also given a coupon for a future purchase! Curiosity got hold of me, and I began to peel away the layers and layers of orange stickers, until I discovered the original price of each pair was $89.00. Total savings of over 83% off!! Stay tuned for more deals from my trip! ‘Till then, stay warm! Days can go by so quickly when schedules get hectic: between sleep, work, fitness, social activities, cooking, eating and cleaning, 24 hours passes in the blink of an eye. But, when you add 365 days together, so much more can happen! I think back to a year ago, when I was flying to Florida to take a week-long road trip with my fiancé (now husband) up to Connecticut. A year later, our wedding and honeymoon are behind us, and that road trip seems like such a distant memory. We took a lot of breaks on our 1000mile road trip, to explore new areas and sight see. After stopping in Savannah, Georgia for lunch and a trolley tour, we made our way to Charleston, South Carolina. Besides the bought of ghost activity in the Barksdale House Bed & Breakfast (still spooks me! ), we loved the area. We found a strip of stores and restaurants within walking distance of our B&B and definitely took advantage of strolling around to stretch our legs. Not only did I pick up a pair of Pink Tusk-In-Sun elephant shorts at Lilly Pulitzer (which were sold out in my size everywhere else at the time! ), Kate Spade was also having their annual Work.Play.Sale! I had a ball trying on piles of clothes in their beautifully wallpapered fitting room adorned with velour bow-shaped pillows and inspirational quotes on the mirrors. At this point our wedding was 10 months away – but by now you should know I plan ahead! (Way ahead!) As I contemplated between a few dresses, I decided on the cream colored fit&flare Tanner dress – knowing it would be perfect for our rehearsal dinner. It’s a comfortable blend of cotton & silk that can be dressed up or down. The (original) price was a little hefty: $448. BUT: the sale price slashed that in half to $224. Calculate the additional 30% off… down to $156.80! That’s 65% off!! What comes around goes around – it’s a year later and the Work.Play.Sale is BACK at Kate Spade until July 5th! Check our their website or a local store to receive an additional 30% off their already-reduced sale items! It’s my favorite time of year (beside the temperature). The holidays, friends, family, food, gifts & of course: shopping. The hype is upon us. Most of the flyers have been circulated already. There’s backlash against the stores opening on Thanksgiving day. And then there are the stores that have deals all week long – so we don’t even need to anticipate what Friday will bring. 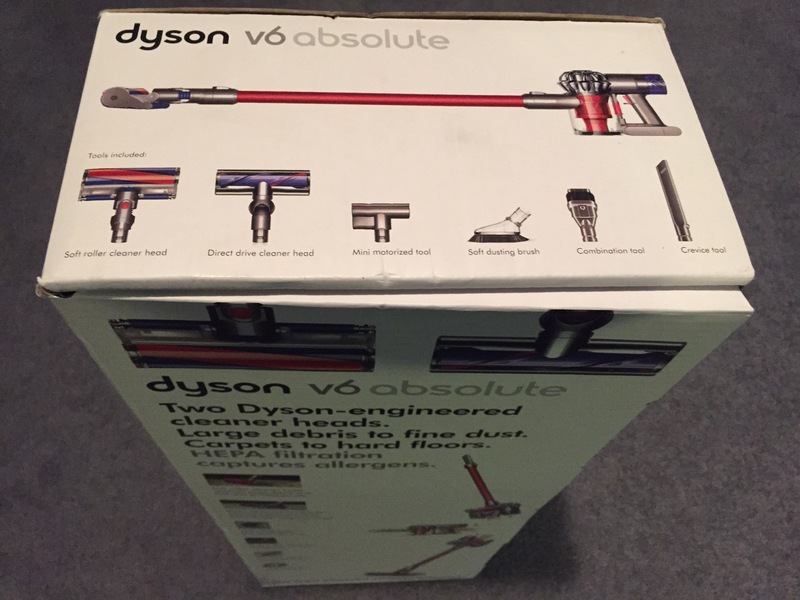 The Dyson V6 Absolute Cordless Vacuum at 60% off! I’ve been eyeing the Dyson Cordless Vacuums for a few months now, contemplating if they would be worth the high price tag. I’m all about reading reviews, so when a good friend I trust told me how much she loves her cordless Dyson, I was officially convinced it was a necessary addition in my life. I know that all Dyson products are great – I love my Dyson Upright and my Dyson Hot/Cool Fan. But, when it comes to cordless Dyson’s (perfect for quick clean-ups, the staircase, upholstery & the car) there are 4 models to choose from, and I could not make up my mind on which model was best (mainly because there was a $300 difference between the ‘most basic’ model and the ‘best’ model). I knew the quality of the basic model would still be great, but I knew the convenient features of the best model would definitely be even better. I am so glad I took so much time to contemplate because this week, the prices have dropped significantly – so significantly that I purchased the newest, “most expensive” model with the most features, for LESS than the original price of the ‘most basic’ model!! Bed, Bath and Beyond currently has their Dyson Manufacture event, and the $599 Model is marked down to $449. That includes free shipping, but, you can NOT use a 20% coupon on this item. I kept looking. The normal HSN price is $599 – currently marked down to $449. That also includes free shipping. HSN recently sent me a 20% off any item code, but it unfortunately EXCLUDES Dyson. I kept looking. The normal price for the same model is a little higher at Macy’s. Somehow, they got away with jacking up the “Original” price to $699, and “discounting” it to $599. They are currently selling the vacuum for $449 as well. But guess what: their savings pass EXCLUDES Dyson. Kohl’s, like Macy’s jacked up the price of the same model to $679.99, and like all of the other stores, it was marked down to $449.99. So why would I choose Kohl’s? I really don’t like Kohl’s. But, they do NOT exclude Dyson in their coupons!!!! They currently have a 15% off promo that I could use. I also decided to open a Kohl’s Credit Card, which saved me another 30% off! Not only did I get 15+30% off, I also got $15 Kohl’s Cash back for every $50 spent. That’s $75 Kohl’s Cash that I can use between November 30th and December 6th on anything I want at Kohl’s! I also scanned my “Yes2You” reward card too, which earns me a $5 reward for every 100 points (1 point per dollar). So, Ding, ding, ding – we have a winner – Kohl’s had the best deal BY FAR and I might actually like this store now (for household products)! 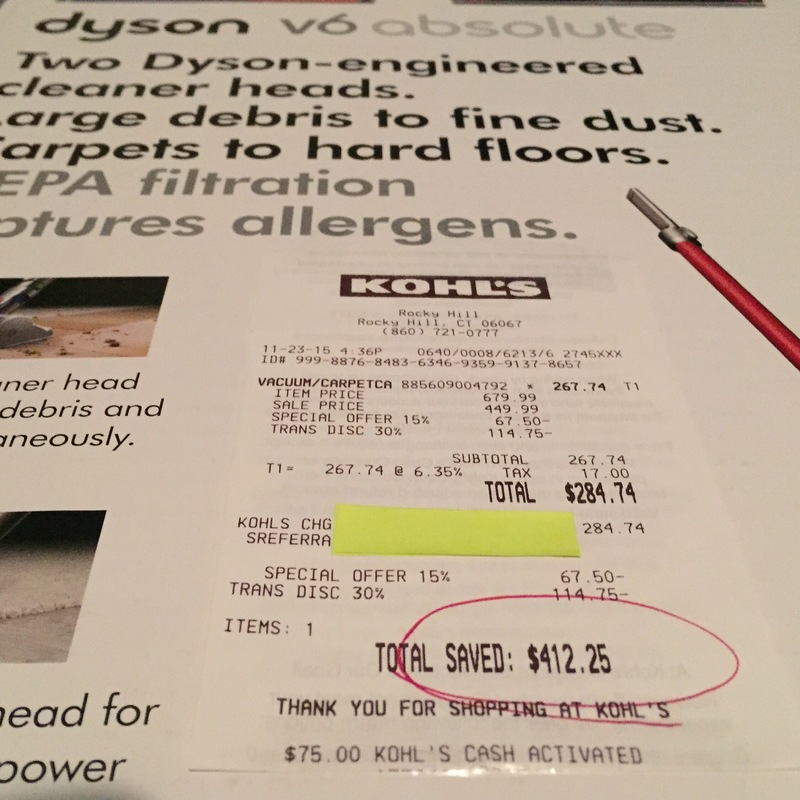 I feel bad for anyone who paid $649.99+tax for this same exact vacuum last week at Kohl’s – Because I just paid $284.74 INCLUDING TAX – a 60% savings! I grabbed the one and only box they had at our store so I’m not sure any will be available by Friday – act fast!! 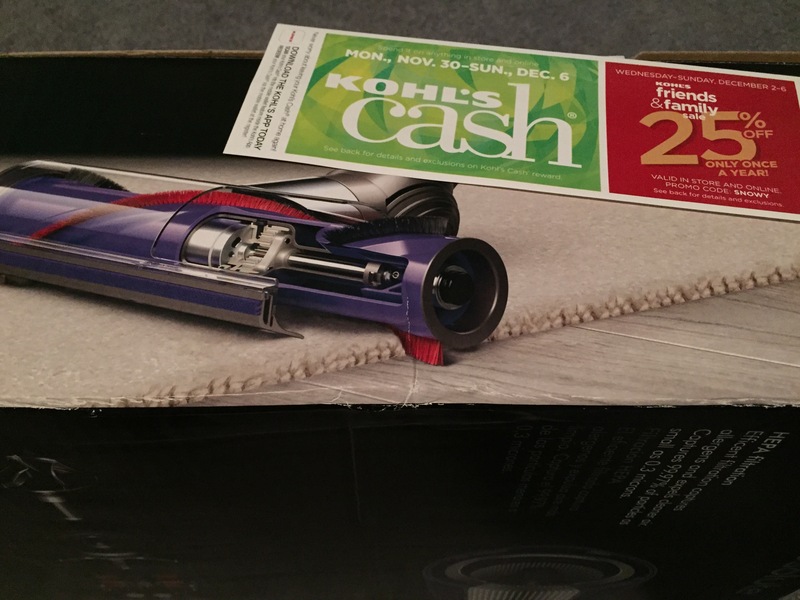 I’ll also add, Dyson products rarely go on sale, these prices will creep right back up very soon – and currently, Kohl’s is the only store I’m aware of that still allows you to use coupons on them – hopefully they don’t catch on! Besides the long lines, crowds and excitement, I can’t wait to see what else Black Friday brings this year! Labor Day Sales are Upon Us – Check These Out! Labor day is upon us: The end of summer, and the start of pumpkin-everything. Kids are back in school, and soon enough we’ll be throwing on our sweatshirts and jackets. I can’t say I’m looking forward to the cooler weather – but I am looking forward to weekend sales! CLEAR THE RACK at Nordstrom Rack – in stores & online. Take an extra 25% off all clearance items through September 7th – with savings up to 90% off the best brands! Nordstrom Clearance – in stores & online. A ton of summer items on sale for the whole family! Big Brown Sale at Bloomingdales – A huge selection of items are 20-70% off, plus use code BIG20 for an additional 20% off sale and clearance items! Don’t forget to use your free loyalist card to earn points toward rewards certificates too! Lord & Taylor – Use the savings pass available on their website in stores & online for an additional 25% off clearance items and an additional 20% off sale & regular price items. On their mailing list like I am? Check to see if you also received a “$15 off $40” coupon in the mail that you can combine with the other deals! Almost every store and outlet will have amazing promotions to clear out any remaining summer merchandise – and you might even score some great deals on things for autumn! Heading to the outlets? Make sure to stop by the information desk if you have a AAA Card. You’ll get a great coupon book for additional savings. There are also extended weekend hours – be sure to get there early for the best parking or take advantage of the shuttles and valet offered this weekend due to the large crowds! Check back to see my great finds! ‘Till then, stay stylish! Socks for 23 CENTS Each! Katherine Nickerson on Pop-Up Anticipation! StylewithChris on Unbelievable Dress Deals!